→All Hail to Kale, A Superfood Powerhouse! All Hail to Kale, A Superfood Powerhouse! Kale has been getting a lot of press lately, and with good reason. This member of the “headless” cabbage family is one of the healthiest foods you can add to your diet. 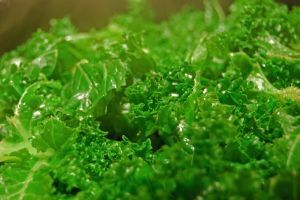 Kale’s nutrient density make it a superfood powerhouse! It’s an excellent source of Vitamin A, vitamin C and potassium. Not only that, it’s also a good source of caldium, iron and folate (one of the B vitamins – B9 to be exact). To top things off, Kale is full of a variety of phytochemicals that promote health. What Can Kale Do For Me? First and most obvious, kale provides a lot of healthy nutrients and doesn’t take a lot of calories to do it. Also, according to the American Cancer Society, leafy greens like kale are high in carotenoids that lower the risk of lung cancer, esphageal cancer, and mouth and pharynx cancers. The consumption of kale has also been shown to lower the risk for bladder cancer as well. You can eat kale in a raw salad, or it can also be consumed raw in green smoothies. 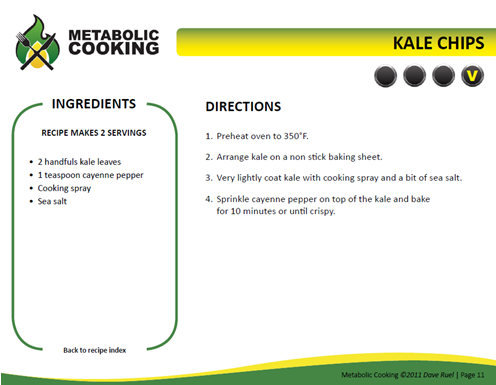 Kale can be steamed, simmered, blanched, braised, sauteed, and baked. Just about any way you want to cook it will work. Choose pork with strips of lean and cut into into 1/4 inch slices, or cut bacon into smaller pieces. Put into pot and add water. Heat to boiling, cover, reduce heat and let simmer for 30 minutes. Add the well-washed greens, cover the pot again, and reheat to boiling. When greens have wilted down, turn over and press down until they are below the surface of the liquid. Continue cooking until they are very tender, about 30 – 45 minutes, depending on how tender the greens are to start with. If more water is needed during cooking, add boiling water to keep the greens just covered. When done, drain off liquid and serve greens. If more salt is needed, add at end of cooking. And here’s a trendy new way to eat kale. 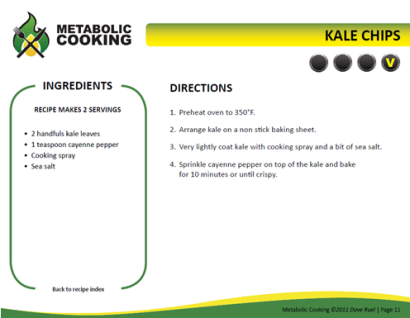 . .
Kale is a super food you don't want to miss. It's nutrient dense, full of vitamins, minerals and phytochemicals that promote health. It tastes good too!